Credits: Papers by Sahlin Studio’s Sweet Story Telling papers, Creativity by Crystal’s Room Collection Solids; Elements by Sahlin Studio Sweet Story Telling Kit. It was a beautiful ordinary day. No agenda, we just played it by ear, went with the flow. 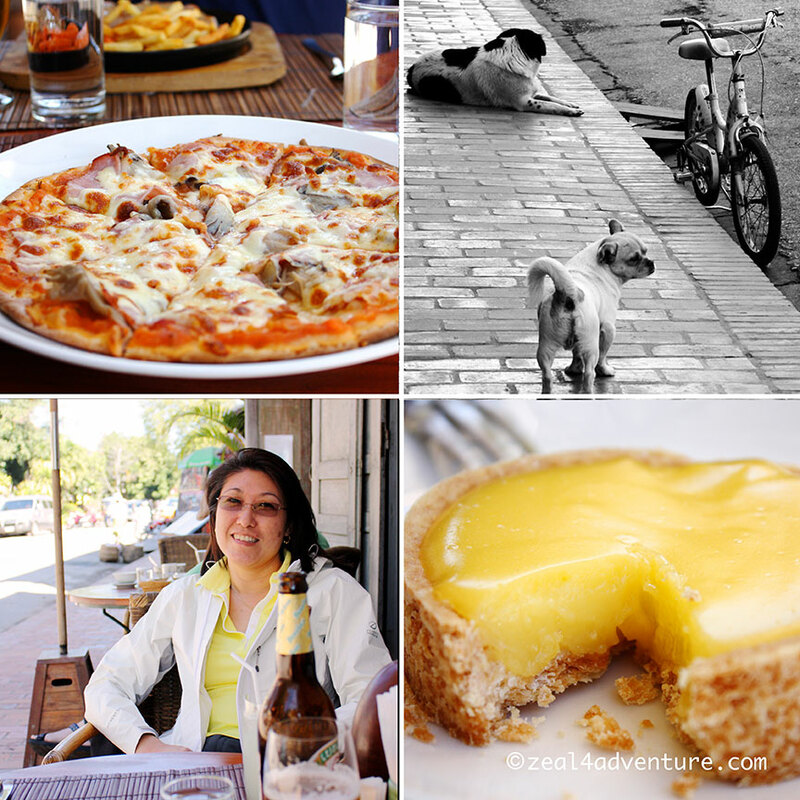 The plan was to leisurely walk the streets and see where it takes us. 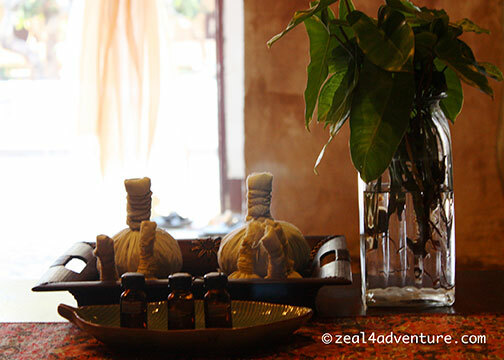 The serene atmosphere of this enchanting city begs for nothing more. Having strolled down these streets before, it was interesting to see new ventures turning up while many stayed the same. 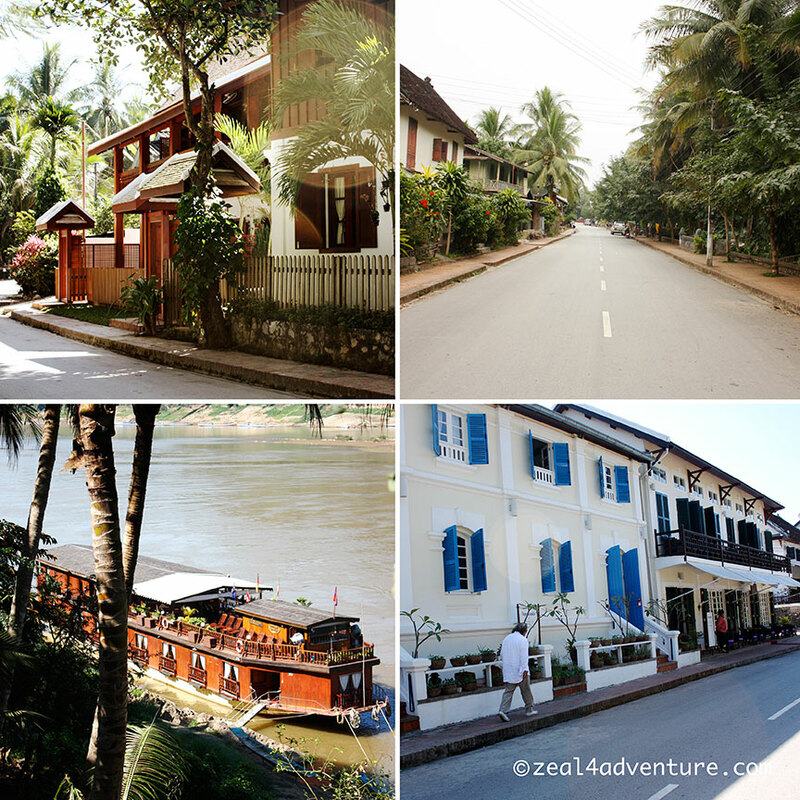 Luang Prabang lies in the heart of the mountainous region of North Laos. 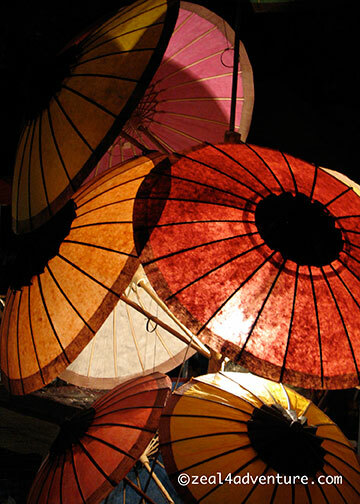 Also known as the jewel of Indochina, the ancient royal city sits between the junction of the Mekong and the Nam Kahn Rivers. 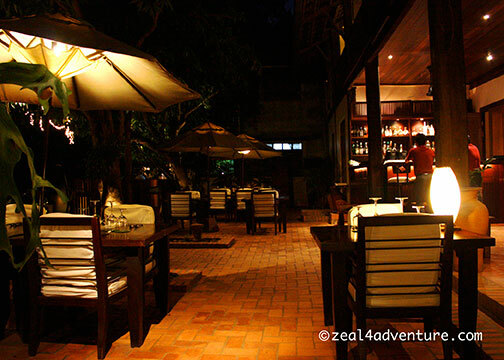 And our nice little boutique hotel, Villa Deux Rivieres is situated somewhere near the junction in Kingkitsareth Rd. 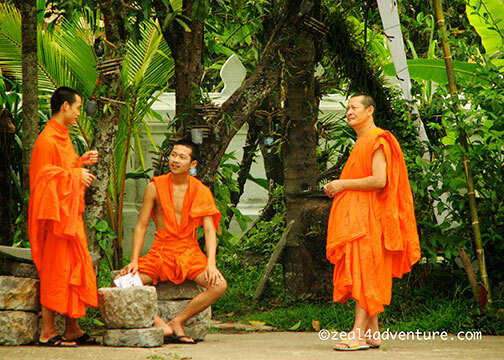 Monks with their signature umbrellas in Sakkarine St. — a quieter part of town. 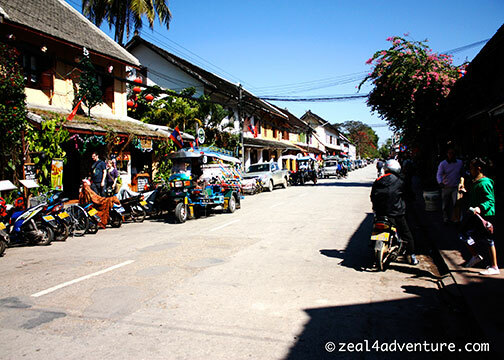 The busier street of Sisavangvong has more tuk-tuks and motobikes lining the streets. which turns into Sisavangvong St. if you walk further. We spent a lot of time in Sakkarine St. browsing, sometimes buying from the many little shops or relaxing in several of the cafes lining the stretch. 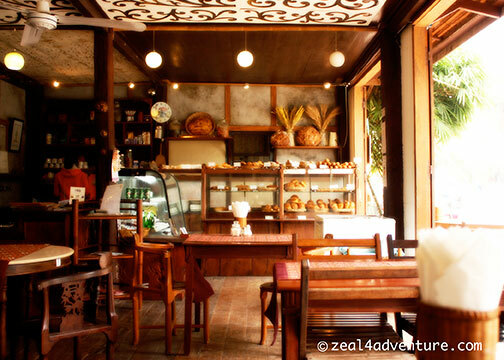 Café Ban Vat Sene across the charming Wat Sene and Le Banneton with its wonderfully crusted breads are our favorites hang-outs. 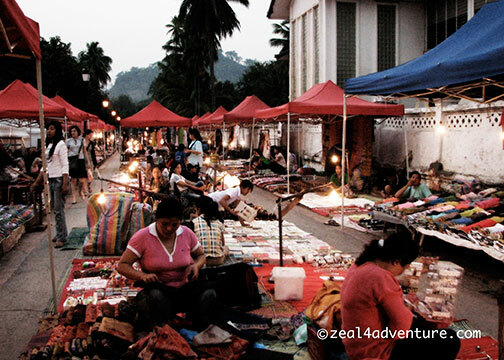 We sat outdoors and enjoyed the cool air and the easy going vibe of the town. Caruso Lao never fails to lure me in each time we walk pass it. 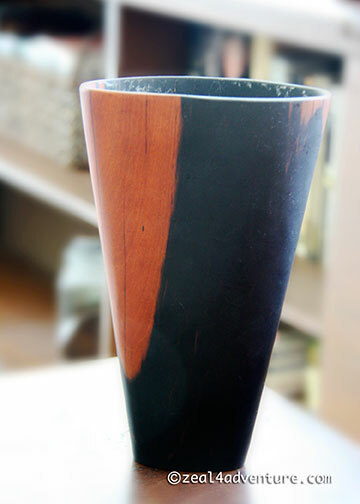 Beautiful stuff on display, a bit pricey but well worth the workmanship, me think. And look what I have displayed at home. There could have been more, if freight wasn’t so ridiculously high. Wat Sene along Sakkarine Rd. and a concentration of golden temples they call Wats, all thirty-four of which have been listed for preservation. 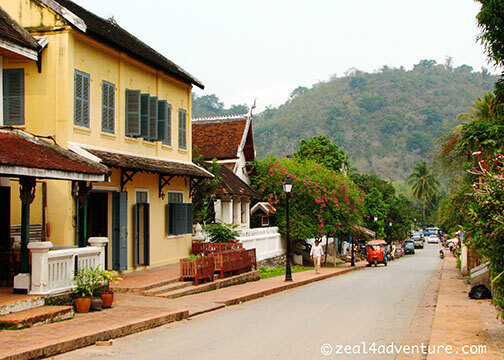 Luang Prabang, a UNESCO World Heritage Site since 1995, is undoubtedly rich in cultural heritage and has both historical and natural sites to boast. 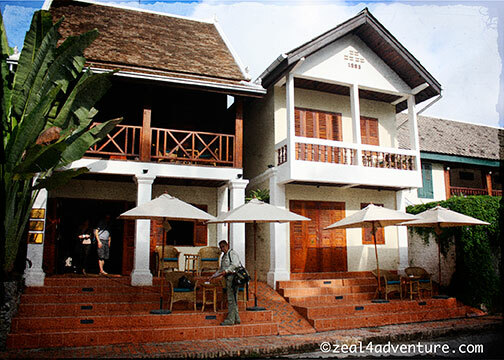 Traditional wooden dwellings and old colonial style houses fused into a distinct cultural tradition with beautiful landscapes that surrounds. 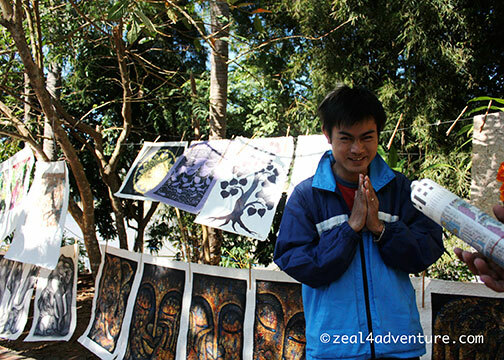 Mount Phousi perched in the middle of town showcases stunning views of the surrounding temples and hills. 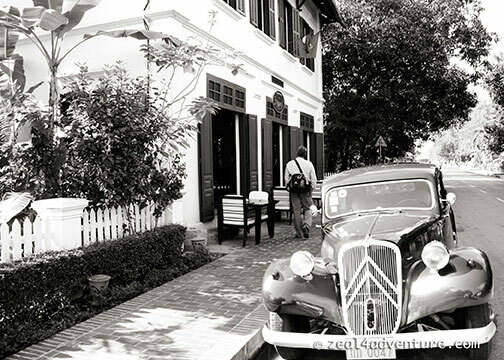 reminiscent of the 1940’s where bicycles dominate and colonial style interspersed with traditional houses line the streets with some vintage cars even. Small enough to explore by foot, we started our stroll at our hotel in Kingkitsarath to the bank where Khan and Mekong meet. 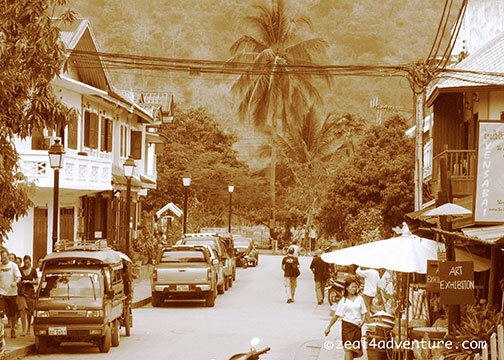 The street, as in many in Luang Prabang, becomes Khem Khong or Mekong Rd at some point. 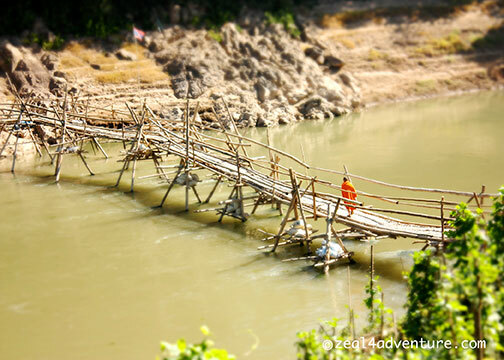 At the confluence, a path led to the river below where a wooden bridge stands. 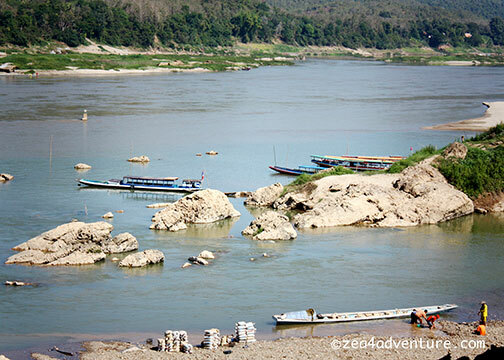 Across is a handicraft and weaving village that one can explore but we didn’t venture out there anymore. 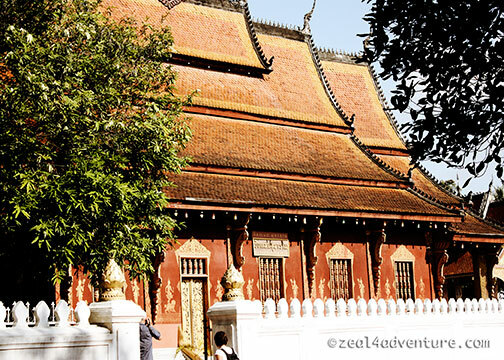 Instead, we continued on Khem Khong to get to Wat Xieng Thong – perhaps the most magnificent but definitely the most important and impressive of Lao temples. There is a cluster of ancient buildings dating back to the mid 16th century. 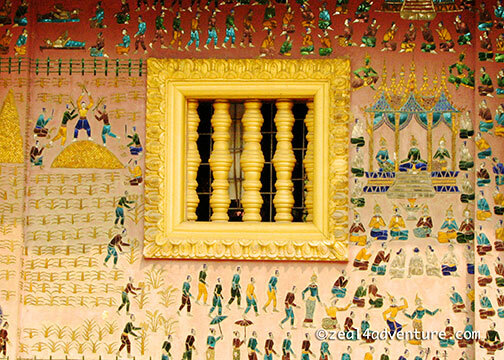 At the back of Wat Xieng Thong is a tree of life mosaic in colored glass. 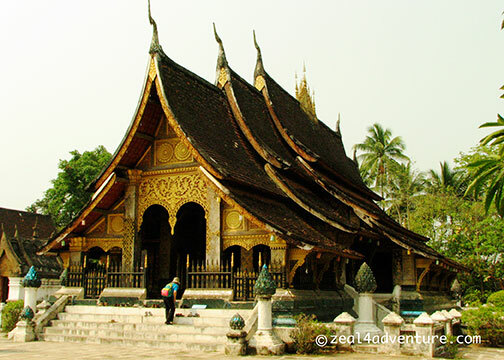 Anyone with a keen interest in Lao history should not miss the religious artworks and artifacts housed here. 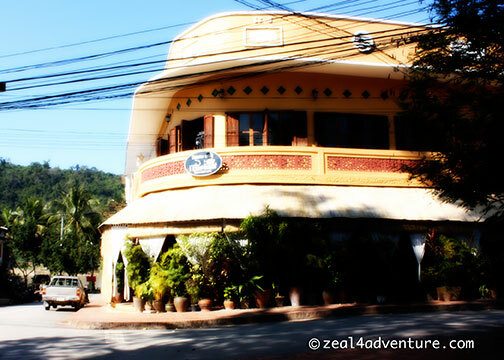 When it was time for lunch, we went for L’Elephant, an institution in its own right in Luang Prabang. Menu was mostly French. 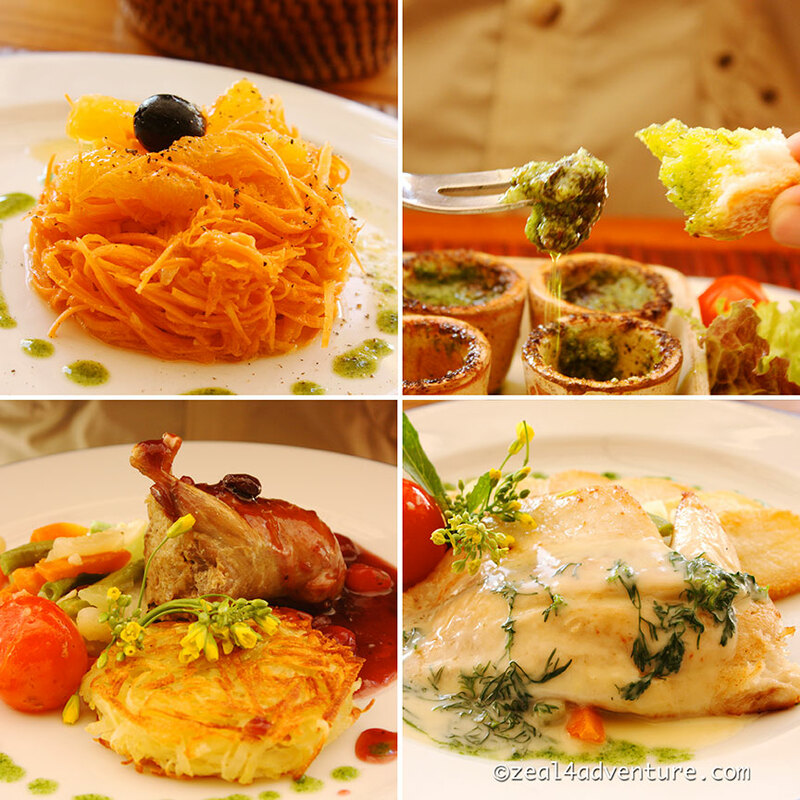 For starters we had a refreshing Carrot and Orange Salad and a superb Escargot baked in Garlic and Parsley Butter – cooked the way we like it. For main, I had the Mekong Perch in Coriander Sauce and A had Stuffed Roasted Boneless Quail. 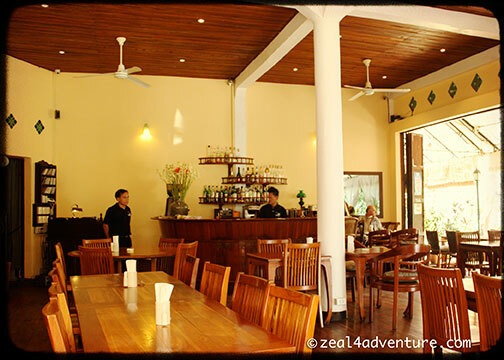 I say fine dining at its best in Luang Prabang. The laid back, open-air atmosphere with high ceiling fans half expects you to see Rick Blaine come out and entertain. 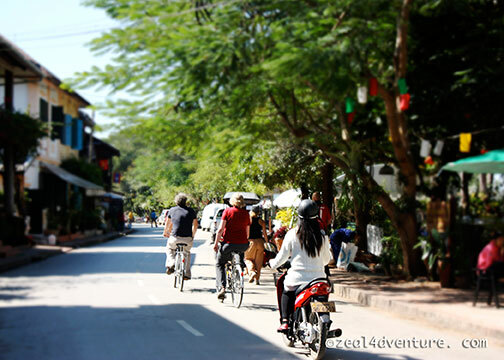 In between lunch and a traditional lao massage, we explored more of Khem Kong, definitely a very quiet street where many upscale hotels are located. We then visited the Haw Kham, which is now known as the National Museum. 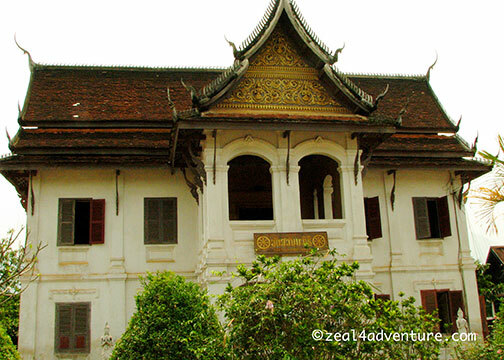 Once the Royal Palace, the building is a fusion of Traditional Lao and French design. 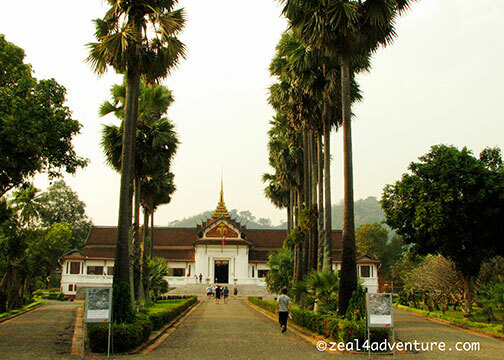 It houses an impressive collection of royal memorabilia and religious artifacts. 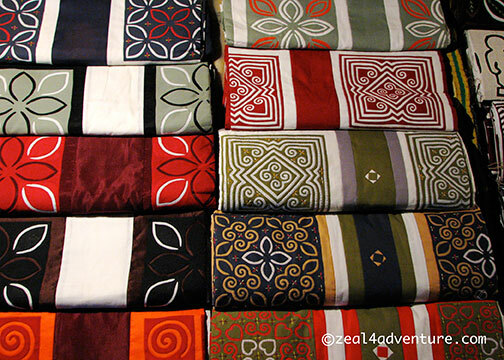 typical Lao arts and crafts that include appliquéd blankets, silver jewelries, embroidered bags and a lot more. 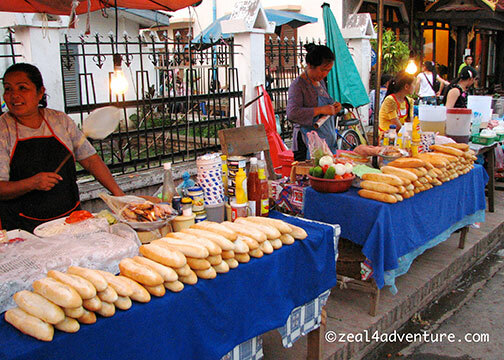 Many of the stalls here sell Lao street foods but we had our eyes set on Mango Tree in a quieter part of Sakkarine St.
Suffice it to say that dinner was fabulous. 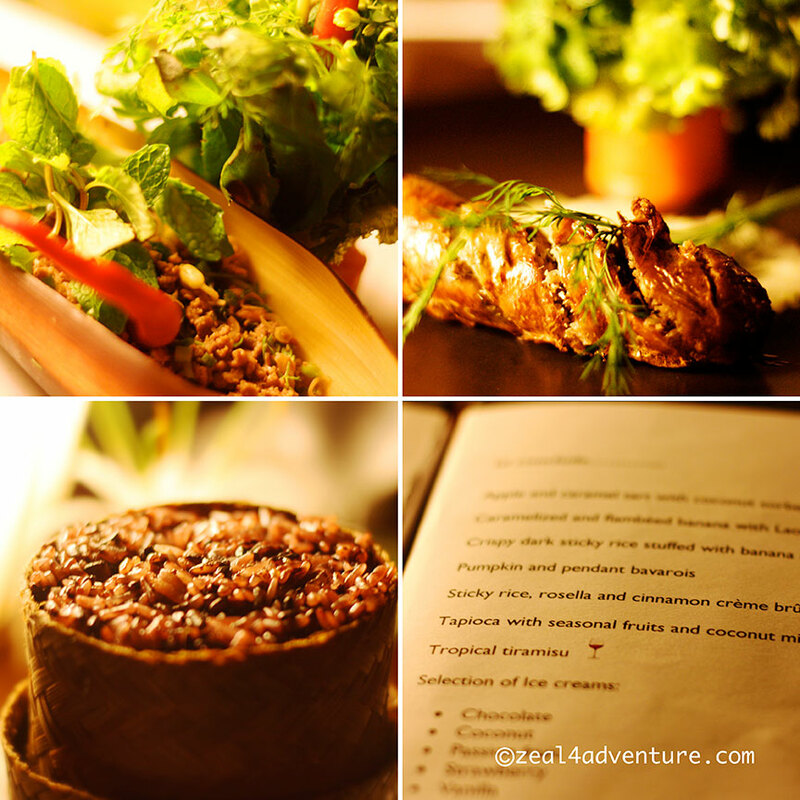 Superb Lao dishes plated beautifully and served in a casual garden setting. An extraordinary meal to cap an ordinary day, I must say. 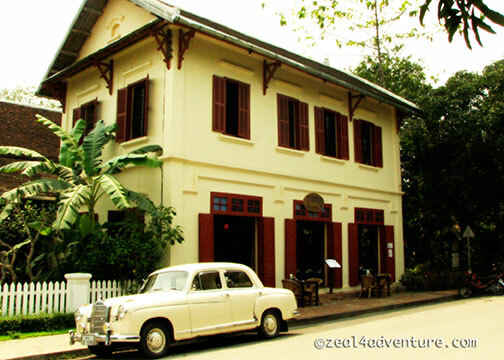 its heritage and its shabby chic French fused Lao architecture that is so uniquely Luang Prabang? 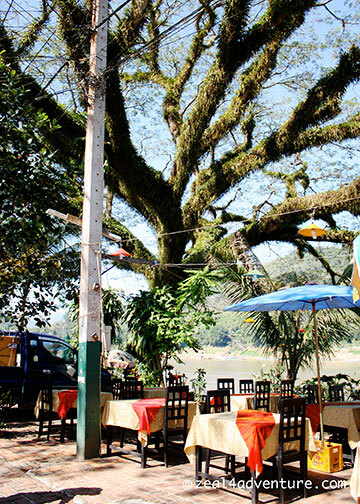 luang prabang has the best of both worlds – a sleepy relaxing town where time stood still and at the same time where you can get world-class dining. what more can one want? it’s nice to see you up close.